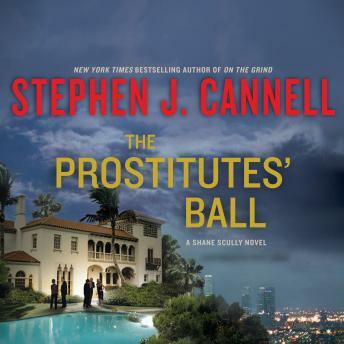 It's a few days before Christmas when Detective Shane Scully and his wife, Alexa, respond to a call in the Hollywood Hills. The crime scene is the pristine backyard swimming pool of a once immaculate mansion on Skyline Drive, the site of an infamous murder decades prior, in which a family was killed in cold blood on Christmas Eve. In the ensuing years, the house has been shuttered and left exactly as it stood on that terrible night. Shane and Alexa arrive to discover the aftermath of a lavish party. The revelers have fled, leaving three dead bodies, all shot with the same gun. One is acclaimed film producer Scott Berman. The others, a pair of gorgeous women in their early twenties. Scully is assigned to the case along with his new partner, Sumner Hitchens. Hitch has a reputation in the department as a self-promoter; he sold the story rights to one of his cases to a film production company - and he has the millions to show for it. Scully and Hitch begin to investigate, and the case looks to be open-and-shut: The two young women were hired prostitutes, and there's a security video of an angry husband firing on all three. A simple case of revenge. But there's a catch: The detectives discover a single spent bullet casing that doesn't match the rest. From that single bullet emerges a story that spans thirty years - a tale of love, murder, suicide, and one of the biggest financial frauds in L.A. history. It's a story fit for the screen - and Hitch is determined to get it there, no matter what it takes. But someone has gone to great lengths to cover up the crime, and as Scully and Hitch get closer to the answer, they find themselves in a killer's crosshairs. The case could be the makings of a blockbuster Hollywood film - but only if Scully gets out of it alive.